After years of working in office based jobs I felt a career change was in order. Dog walking is something I have always been passionate about and so in 2017 “Leads of Fun” was born! Since I can remember I have always been around dogs. My grandparents had Labradors and Retrievers while my parents had a miniature Daschund. The very moment I was able to get a dog of my own, I adopted my eldest; Ralph, a Beagle cross. He is full of life and a real character. Despite being a cross-breed his behaviour and mannerisms are typical Beagle (If you know beagles you know what I am talking about!). Two years later Dexter; a golden cocker spaniel, joined our family. He is the complete opposite to Ralph. Calm and relaxed, he is quite content curled up on my lap rather than bounding around like his big brother! 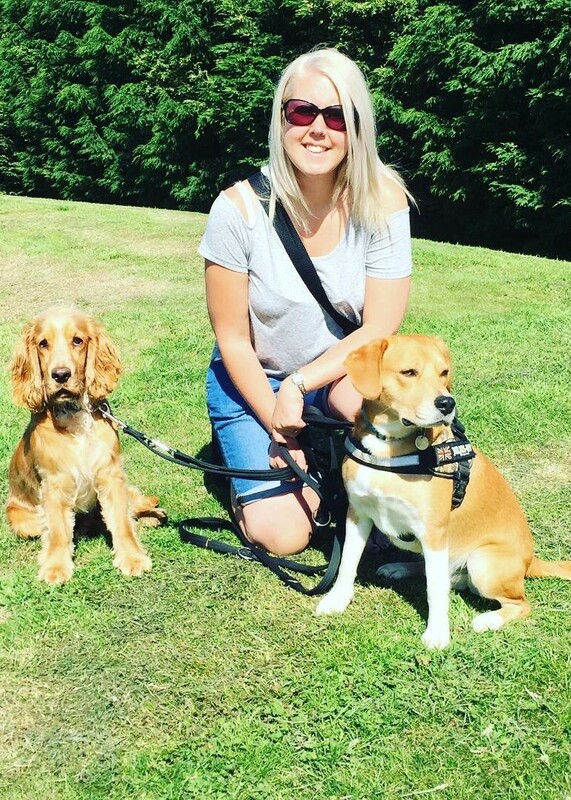 I love walking my dogs but also know how much of a commitment it is. I want you to feel reassured that your dog will be treated like one of my own! I will ensure your little (or large) family member returns to you tired, content and happy. Afternoon all, hope everyone has had a fab Easter break and has made the most of the beautiful weather.